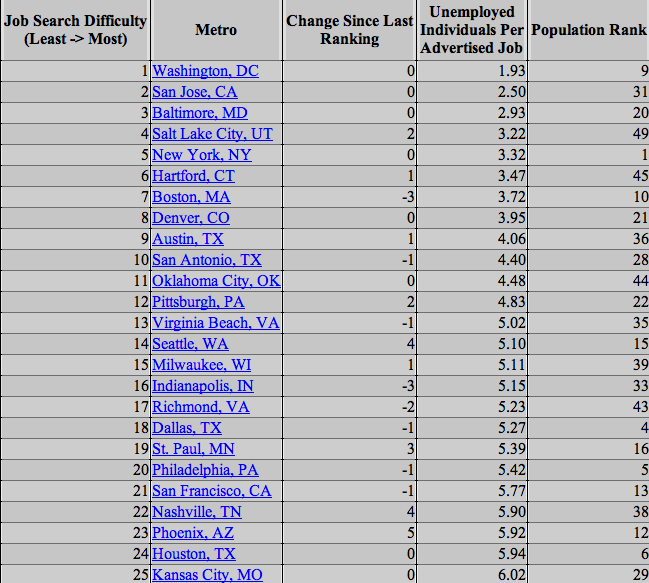 An interesting piece just in from the folks at Juju.com: a "job search difficulty index" that ranks the top 50 metro areas in the U.S. based how many unemployed individuals there are per advertised job. Of course, there's a vast difference between "ease of finding a job" and "ease of finding a job you like in an area you actually want to live," but in this economy we'll take whatever we can get. Apart from pitying the plight of a jobseeker in Detroit, my major takeaway from this is to wonder what's going on in Phoenix. 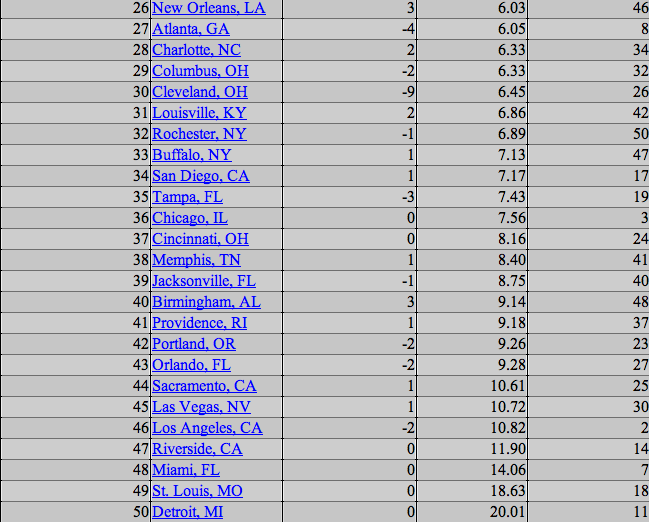 No other city has jumped as many places in the rankings, which leaves one considering a few possibilities: has Phoenix's economy rebounded faster than expected and outperformed the other locations on the list, or is it more a case of the city's population—once the fastest-growing in the country—shrinking again, the equivalent of gold prospectors leaving town when the rush (in this case to strike gold in the housing market rather than by panning for it) is over? "This Company Isn't Big Enough for Both Of Us."